Bus travel isn’t what it used to be. GoBus is a comfortable ride. Most of our buses have Wi-Fi and outlets. 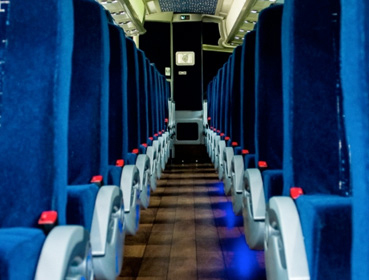 Our buses are equipped with air conditioning, an on-board restroom, reclining seats with headrests, footrests, and tinted windows. Feel free to bring reading material, radio headsets, and a small pillow for your comfort. Radios, laptops, and other electronic items may be carried on board, provided they do not disturb fellow passengers and that headphones are used. Food and non-alcoholic beverages may be carried on board for personal consumption as well. 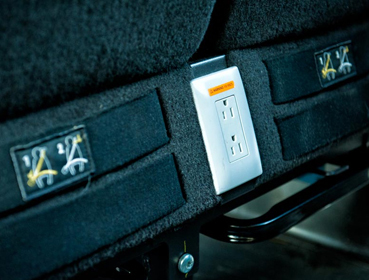 Most of our buses feature free wireless internet connection and electrical outlets at every seat for your convenience. We welcome you to sit back and relax, stay connected and enjoy your ride with GoBus.